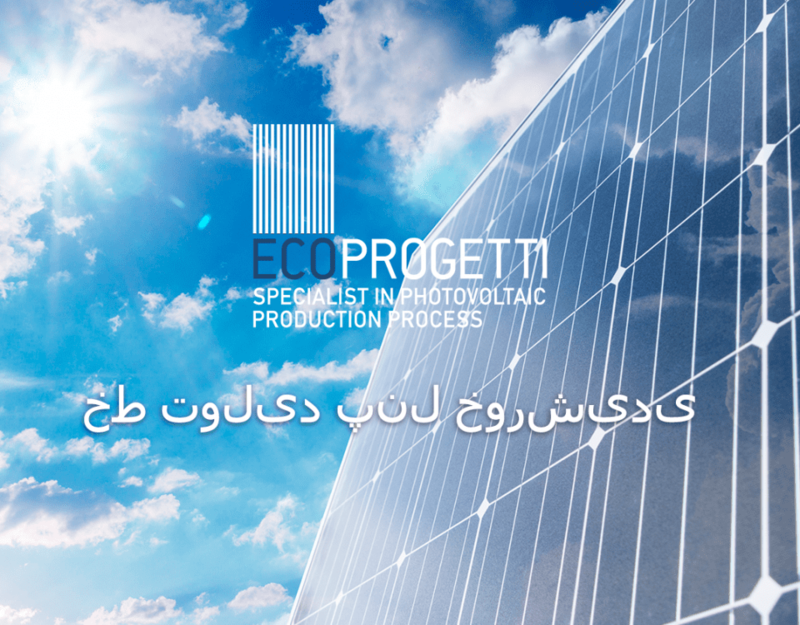 Ecoprogetti started as a module manufacturing company, our production flow starts from the point of view of a PV module producer. At each step of the production process Ecoprogetti presents the best solution of automation and quality all supported by a complete training. Ecoprogetti has established sales&service offices in India, Dubai, USA and Philippines. 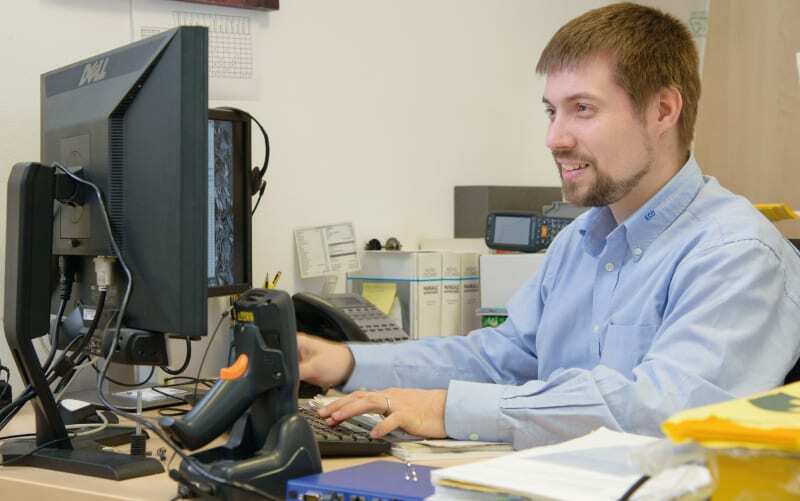 We guarantee a professional service and support during installation, training and know-how transfer. Continuous improvements and innovations to our technology has positioned our production solutions upfront the market trends. 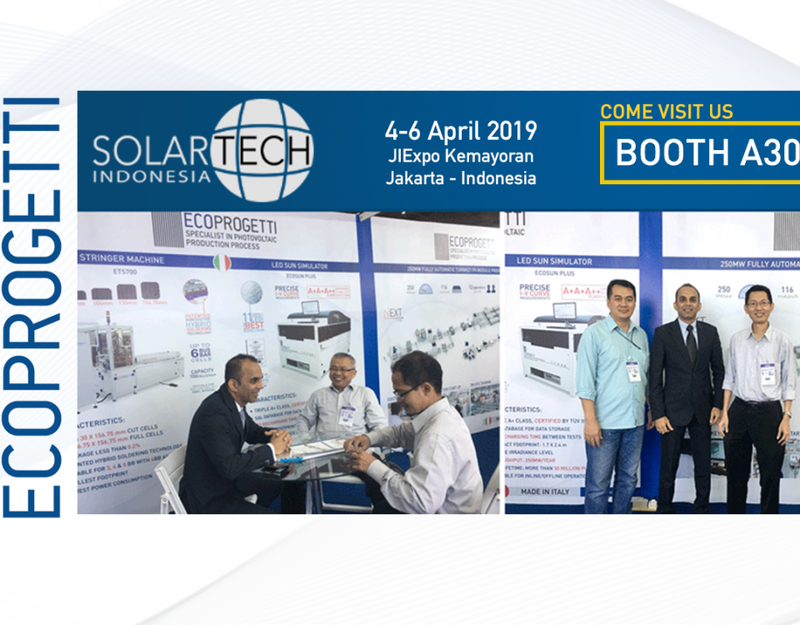 Since 1998 the Italian firm Ecoprogetti srl has been researching, designing and constructing turnkey photovoltaic production machines and lines. All the services are conducted internally with the benefit of having a single contact from the order through to the after-sales service. 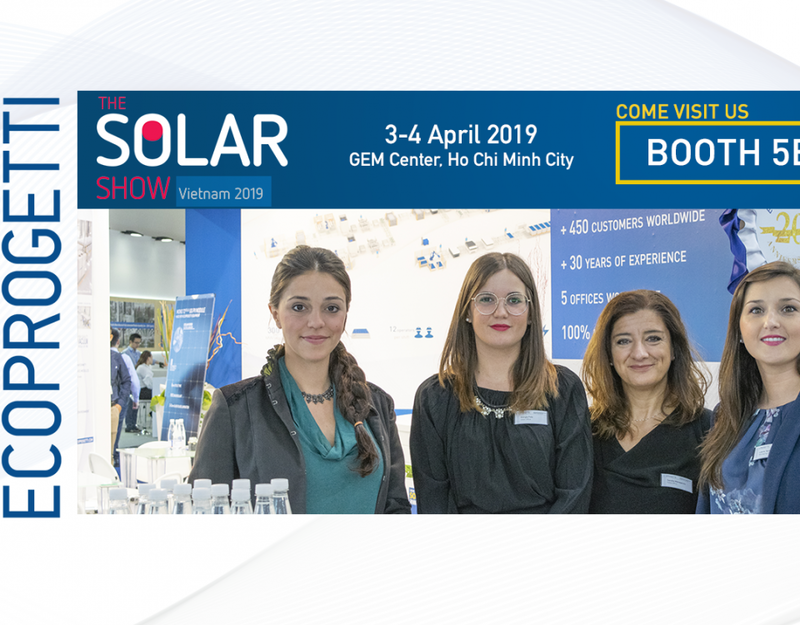 Based on our extensive experience, we are able to offer a wide range of services that are not just limited to making photovoltaic modules or production lines, but include a series of activities to guarantee all-round professional and punctual support and assistance. In 2018 Ecoprogetti opened a new production site in addition to the other one placed on the same road, reaching a total of 5000sqm of production space. 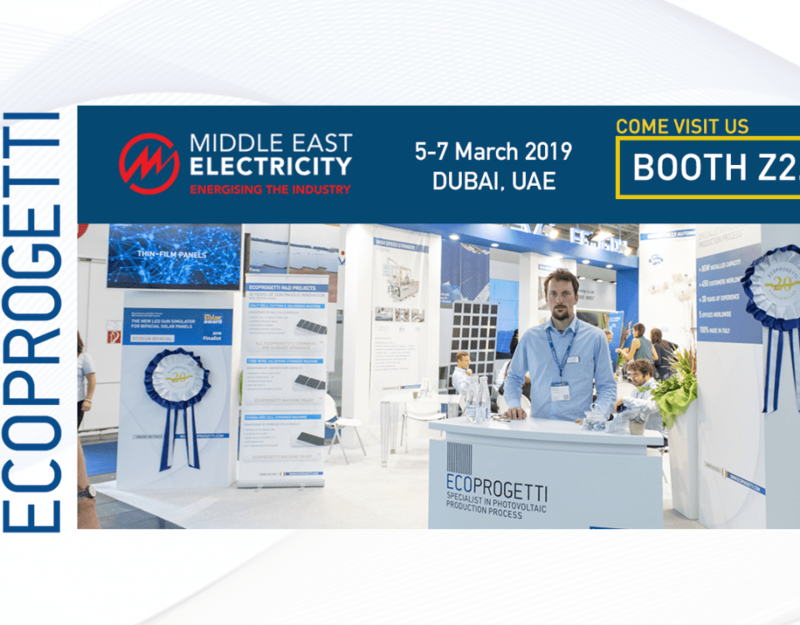 As the solar market grows and broadens, Ecoprogetti emproves and sets new standards for the Solar industry. 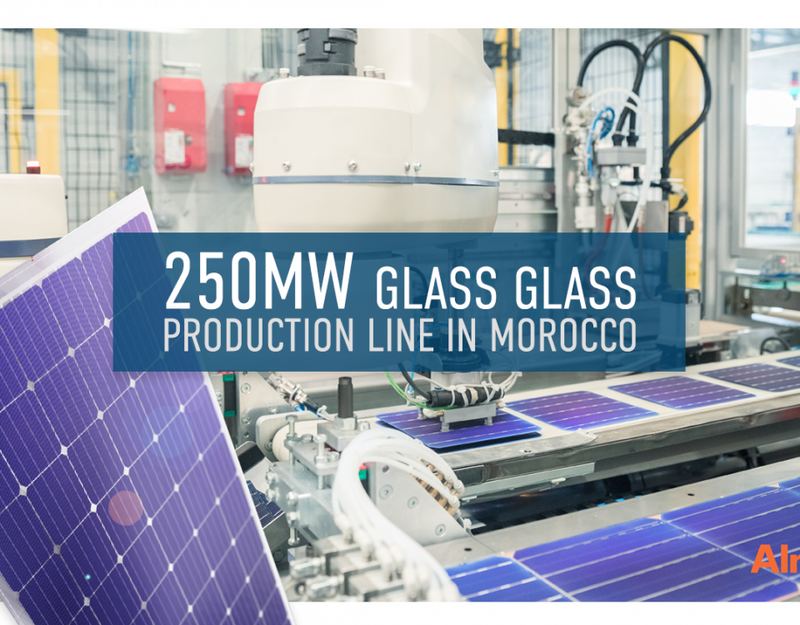 Includes the design and construction of complete machine lines for the construction of photovoltaic modules. 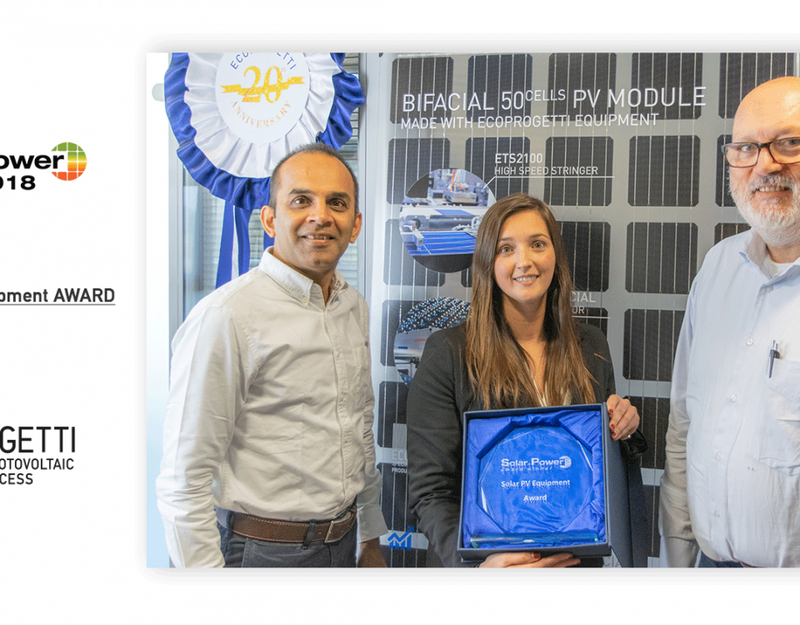 The customer receives a turnkey package to enable immediately producing photovoltaic modules ready for sale and installation. 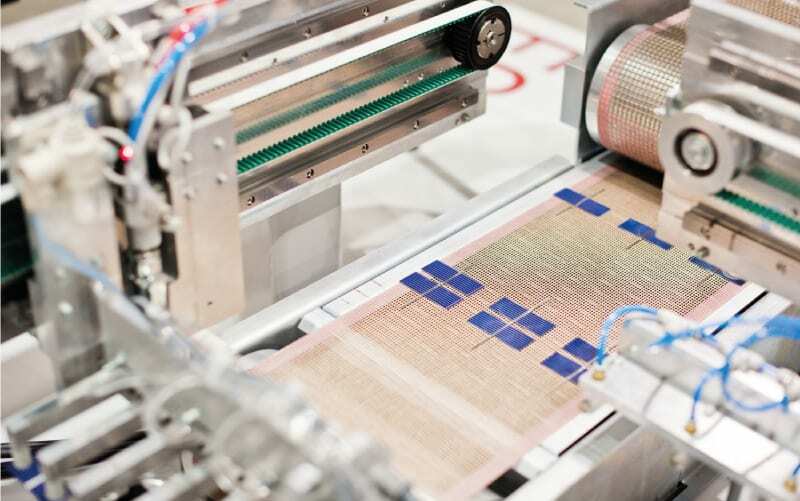 Our machines are enhanced for a specific part of the production process for photovoltaic modules. From the Stringer to the Laminator, the Framing to the Module Testing, any machine can be supplied for integration into a production line or as a freestanding unit. 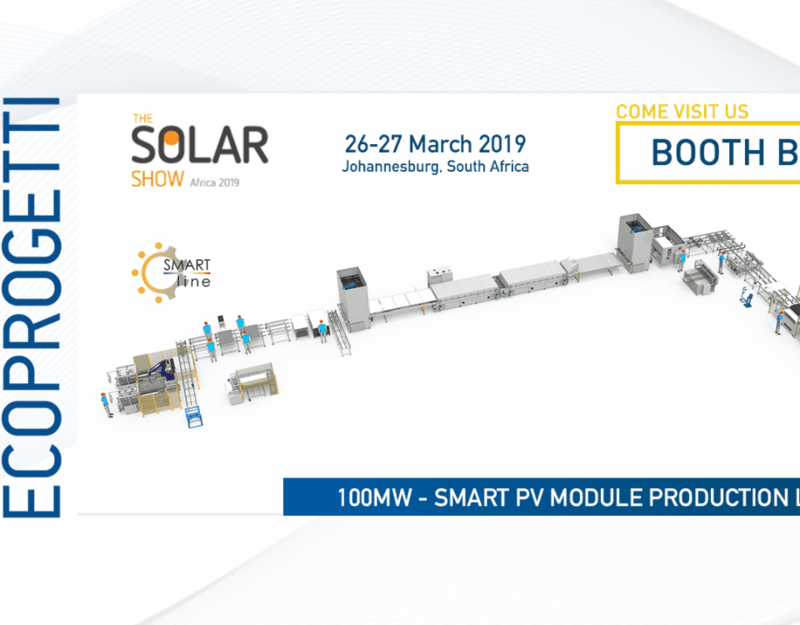 We guarantee tailored consultation for any questions involving the making, enhancement, installation and certification of photovoltaic modules. Our extensive experience in design, assistance and experimentation enables us to offer a very precise and punctual service. 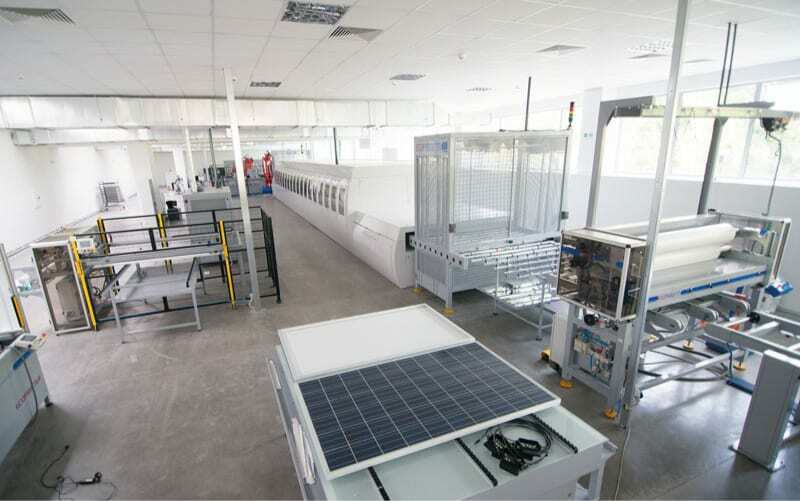 We have a range of machinery for controlling the quality of the photovoltaic modules, able to carry out the tests that are required for certification according to market standards. 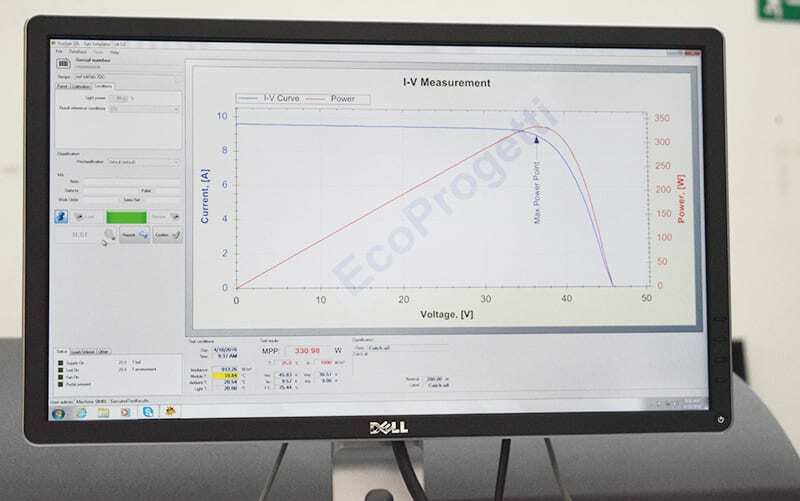 These tests guarantee the endurance of the modules, protecting the customer the end user. We also sell the same machines to specialized laboratories or to whoever requires them for testing their modules to obtain certification. 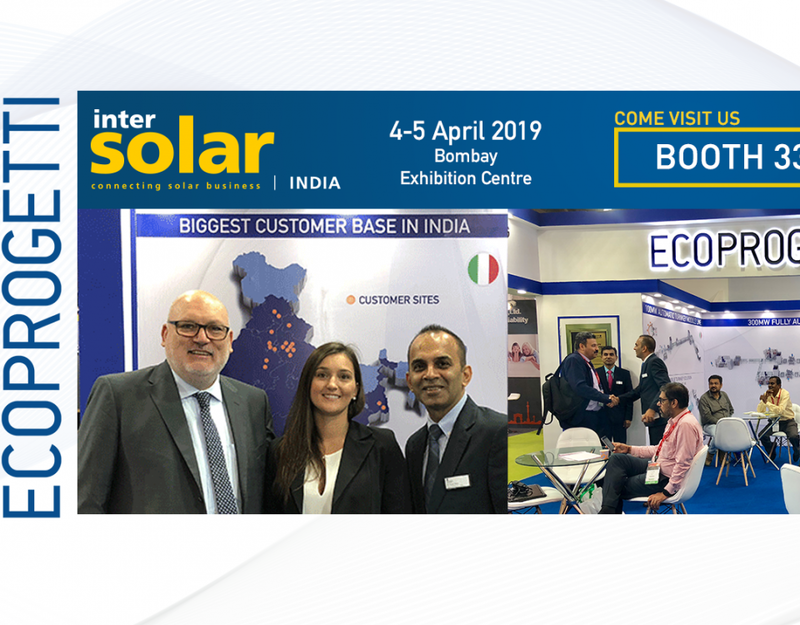 As the landmark company for the Italian and foreign markets, we are always willing to meet and talk with our customers, preferring to establish a transparent and profitable relationship with a customer care service that lives up to their expectations. How to reach our headquarters by car, by train o by plane.